A few weeks back I spent the weekend in Boca Raton. Of course, this staycation revolved around food spots. I had Smoke BBQ on my to do list and my friend Jamie confirmed that it was a must do. I knew that there is another location in Ft. Lauderdale but didn’t realize how different the menus were. The two reasons I was excited to hit up Smoke BBQ was for the Pastrami and the Jalapeño Cheddar Sausage both of which are only available at their Lauderdale spot. The Smoke BBQ in Delray Beach is a full-fledged restaurant with a liquor bar. 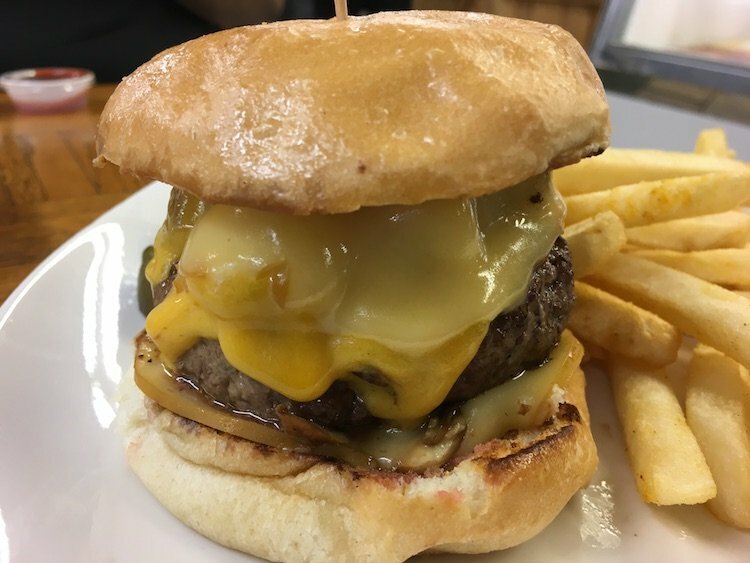 The selection is much larger and includes plenty of bar food like Nachos, Wings, and Burgers alongside the actual BBQ portion of the menu. The Ft. Lauderdale can be best described as a chophouse, a no-frills BBQ spot enveloped by an intoxicating smoky smell when you walk in. I much preferred the Brisket at the Delray Smoke BBQ over the Ft. Lauderdale one but that really was my only bone to pick in both locations. The Ft. Lauderdale Brisket was a little too thick for my liking and was fattier than its Delray brother. My picks for the Smoke BBQ in Delray Beach are the Burger (perfectly cooked & smoky) and the Smoked Chicken Wings (you guessed it, nice & smoky). For the Smoke BBQ in Ft. Lauderdale the must-haves are the Pastrami on Rye (which does run out so get there early), the Baby Back Ribs and that Jalapeño Cheddar Sausage (still dreaming about it). Oh yes, and get the Cornbread.